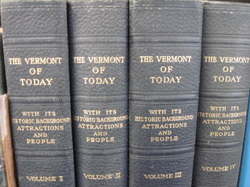 In the library we have copies of rosters of Vermonters from the civil war as well as histories and other records from Vermont towns. The Fairlee Historical Society has more information and documentation of the history of Fairlee itself. New England Historic Genealogical Society offers many resources for those doing genealogical research in New England. The Rauner Special Collections Library at Dartmouth has many resources for genealogical research in the Upper Valley. Call or stop by the library for help.